Yes, spring at last. 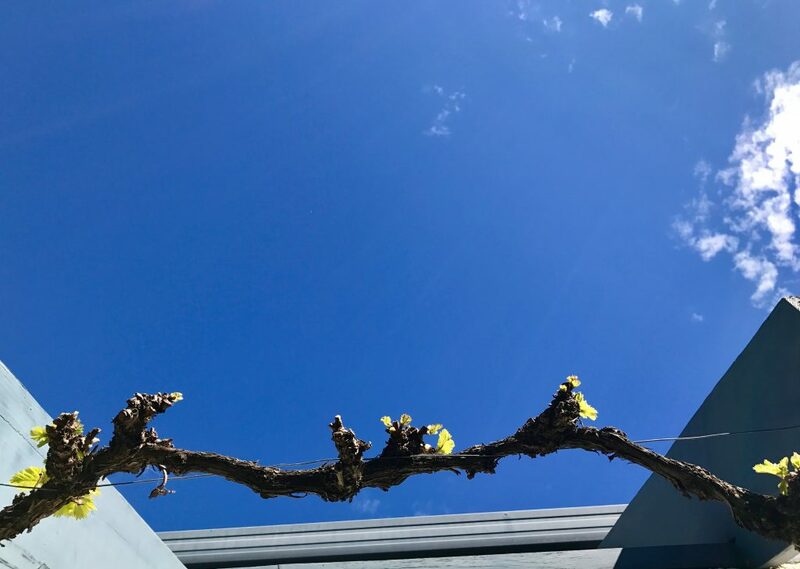 As you see, the vines are alive again in our garden, and this bitter winter (by our standards) has finally come to an end. 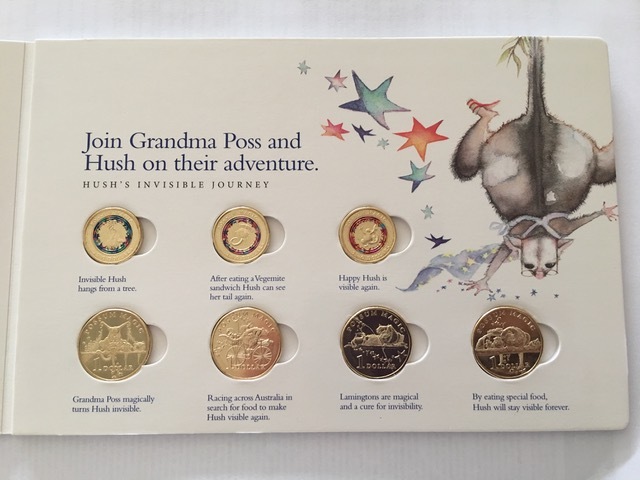 About a year ago, the Royal Australian Mint asked Julie Vivas and me if they could use images from Possum Magic on a coin collection. Not only that, the Mint told us that they would like to put three different images on 3 million real-currency $2 coins, releasing each set of one million coins into Woolworths stores on Tuesdays, over thee weeks, in mid-Agust 2017. What did we think? Of course we said yes. I believe it’s the first time a book has been so honoured by the Australian Mint. Good grief! Never-ending thanks go to Julie Vivas, whose illustrations are as alive and alluring today as they were in March 1983, when Possum Magic was born. Julie worked closely with the Mint to ensure the integrity of the pictures was maintained. And we both kept the whole thing secret for an entire year. Now, lo and behold, the collectors’ album of coins is out, available at Woolworths for $15; and the $2 coins are now in general circulation around the country. When I receive one in my ordinary change, in a shop that isn’t even Woolworths, I feel dazed and disbelieving, and hilariously excited: I want to share the news with everyone in the store, at full volume. You’ll be relieved to know I hang on to my sanity, say nothing, and leave with my hot little coin creating a corner of private happiness in my purse. To add to that delight, I’ve recently read another two brilliant novels (as well as quite a few not-so-brilliant, which I won’t mention). Interestingly, each takes place in a country I don’t usually find in the novels I choose. The first took place in Israel: A Horse Walked into a Bar, by David Grossman. I laughed out loud and had my heart broken by turns in this fabulous book, which is searingly political, and exquisitely written. The second, and most recent book, finished a couple of nights ago, had me weeping in the last few pages, and I don’t often cry over books even when they’re sad: Stay With Me, by Ayobami Adebayo, set in Nigeria. How someone so young can write with such insight and cleverness blows my mind. The twists of the plot were astonishing. You can never see what’s coming, and when it does come, you’re dealt a mighty blow in a staggering ending. I cannot recommend this book highly enough. And please don’t leave Gachar Gochar by Vivek Shanbhag, lying on your bedside table. Read it and lend it to everyone. I know I’ve written about it before (I read it in May), but I’m reminding you about about it again, because it’s unforgettable. An Indian novel translated in to English. Sensational. These three novels take us out of our comfort zone into worlds that aren’t ours, but human nature being the same worldwide, they speak to us as powerfully as the novels of our own country and our own times. Speaking of which, I’ve just started and am riveted by an Australian novel, set in the present, which has received many awards and is on everyone’s lips: The Dry by Jane Harper. You will notice, perhaps, the lack of any news about my writing. That’s not surprising. I’m not writing right now. (I have written something in the picture-book line, but the whole project is under wraps and my finger is against my lips.) 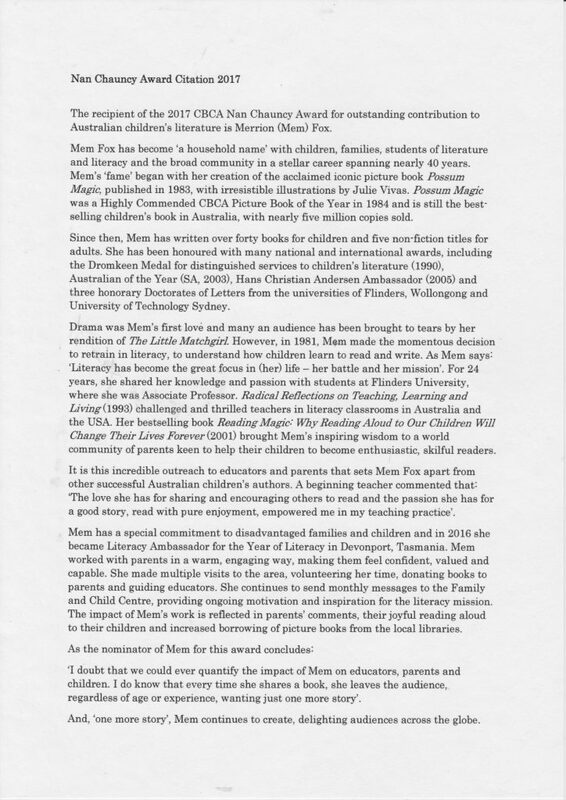 Mostly, I’ve been so busy writing speeches for presentations, and flying around the country to conventions and seminars, and being an all embracing grandmother, mother, wife, housekeeper, gardener and friend, that I haven’t had the time or mental peace to sit down and work at a brand new text for small children. My American editor, Allyn Johnston, is threatening to come and stay later in the year, which will certainly concentrate my mind and make me focus. She’s heaven to work with. For example, she understands completely about the different beats or emphases in the words: under and beneath, both of which mean the same, and both of which have two syllables. But one has the beat on the first syllable and the other has the beat on the second syllable. In a sentence in a picture book text, the choice between these two words is usually obvious to an experienced writer, but many a wannabe writer doesn’t get it and then wonders why he or she isn’t published. The devil of writing for young children is in this kind of nit-picking detail. You’ll forgive me for avoiding it as often as I can. I won’t mention the floods in Bangladesh, Nepal, India and the USA because words fail me, other than to pass on my helpless condolences to everyone involved. My country’s government can’t seem to agree among its own members that climate change is real and that disasters like these will increase, and increase in ferocity and horror, unless the world pulls itself together and Does Something Sensible about limiting carbon emissions. In fact the current Australian government makes me weep on so many issues that I could write into the night, without pause, if I were to let myself go. However—much to your relief, I bet—it’s time for me to make our favourite Greek soup: Avgolemono, for a warming Sunday supper on a wild spring night. Goodbye and go well, till next time. Throw in rice and simmer 15 mins. Beat eggs with lemon juice. Add half a cup of very hot stock to eggs and lemon, stirring all the time.